Spotify: Want Music? Get Spotify. 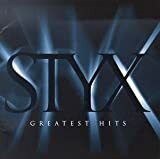 The Yourgeekness office was rocking out recently thanks to a certain person amongst our number warming up Spotify and selecting every version of Styx’s ‘Mr Roboto’ that he could find. He’s still not paid the price for that- eventually we’ll let him out of the supply cupboard again once he’s learned his lesson. Spotify is the greatest thing to happen to music since Napster. Napster was highly illegal yes, but it opened up a new world on how people and the industry viewed music. iTunes took that and made it legal, allowing users to buy music from their favourite artists. Spotify takes this concept, but instead of charging, it is 100% free. Yes FREE! With Spotify you can stream virtually any song from any artist and listen to it there and then, even the whole album if you want. So if you want to listen to Lady Gaga’s ‘Poker Face’ or Slipknot’s ‘All Hope is Gone’, just stick it into the search and hey, presto! How can Spotify do this, easy, advertisement. Stoptify is loaded with advertisements at the sides and bottom, but these advertisements aren’t intrusive. Also, there is an occasional 15 second advertisement from spotify themselves. While you may think this can be annoying it is not, because you are getting the music you like pumped through your speakers for free. And anyway, ads for online geek stuff always make us grin in that ‘I’m cool, I’m all modern’ way.